BBC News reports that author Dan Brown—like his contemporary, James Patterson—is getting into the business of children’s literature, a natural evolution from writing adult books with chapter-ending cliffhangers and dialogue like, “Is it a secret you will die for?” What’s more, Brown doesn’t even have to write a new book. His publisher has announced that an abridged version of the author’s smash hit The Da Vinci Code will be developed for young-adult audiences. The new version, which will hit shelves in September, is tailored for readers 13 and up. It will keep the original’s plot, characters, and themes, but hopefully it will jettison some of the epic exposition dumps. 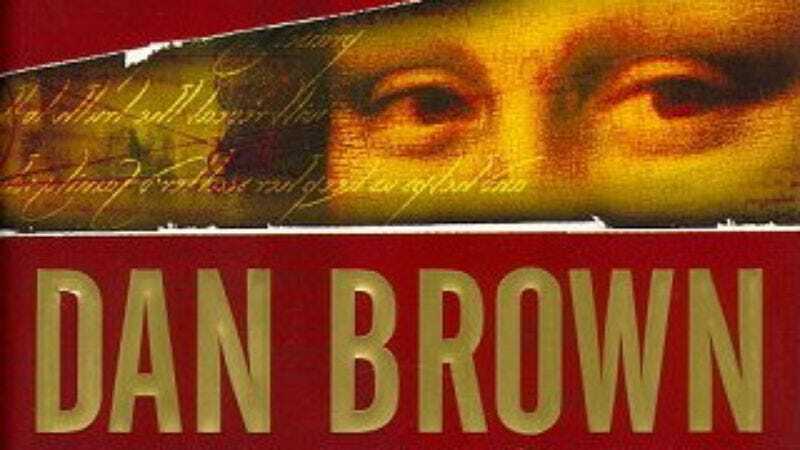 Discussing this new venture, Brown said, “It is my sincere hope that this adaptation of The Da Vinci Code sparks in young adults the same thrill of discovery that I feel while exploring hidden history and the mysteries of the world we live in.” No word yet on whether Brown’s other hit novels, such as Angels And Demons and The Inferno, will get this treatment. Hopefully they will, because any strategy for getting kids to read—and steering them away from those lame film adaptations—is honorable.